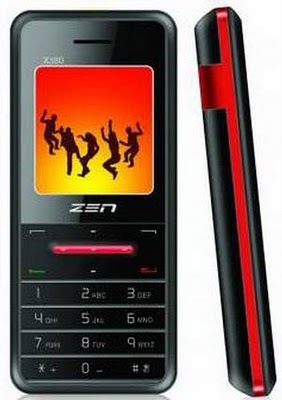 The Mobile phone also comes with dedicated Music keys and it has an expandable memory up to 2GB. The phone has 850 mAh Battery with standby life of 5 days. The special feature includes, Call/SMS Blacklist and has Hindi Language Keypad. This affordable handset is available in the market with an approximate price of Rs.2700. This entry was posted on July 18, 2010 at 6:37 am	and is filed under Mobile Technology. Tagged: Dual-SIM, Mobile Technology, X380, Zen. You can follow any responses to this entry through the RSS 2.0 feed. You can leave a response, or trackback from your own site.